SUMMARY: Beverly Hills Window Tinting Inc of Fort Myers / Naples announced the recent completion of a commercial window tinting project for the Hyatt Regency Coconut Point Resort & Spa. This project was launched by the Eco-award winning hotel to improve energy efficiency and add to guests’ comfort. Because of the significant energy usage reduction the window tinting will create, FPL contributed to the funding of this project. FORT MYERS, FLORIDA 7/29/13 - A Naples – Fort Myers window tinting company, Beverly Hills Window Tinting Inc, proudly announces the completion of a commercial window tinting project for the Hyatt Regency Coconut Point Resort & Spa. This project was launched by the Eco-award winning hotel to even further improve its energy efficiency, while also adding to guests’ comfort. The Hyatt Regency Coconut Point Resort & Spa is located on 26 acres overlooking the Estero Bay Aquatic Preserve. The luxury hotel was recently honored with Florida Green Lodging’s Three Palm eco-friendly certification. The Hyatt Regency Coconut Point Resort & Spa has been named among the AAA Four Diamond Hotels, and is considered one of the world’s top 500 hotels. Hotel clients and employees of the Hyatt Regency Coconut Point & Spa will now benefit from the advantages of professionally installed window tinting. 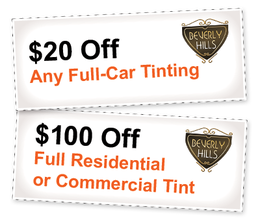 Beverly Hills Window Tinting Inc (BHWT) of Fort Myers / Naples was contracted by the Hyatt in an effort to improve cooling efficiency and reduce energy consumption. This tinting is also designed to diminish fading and glare; add security and safety; and improve privacy for hotel clients. BHWT and Hyatt are not the only ones who appreciate the energy reduction benefits of this project. In fact, because of the significant reduction in energy usage it creates, Florida Power and Light Company (FPL) contributed approximately 30% to the funding for tinting the portion of the Hyatt Regency’s windows that were western facing. 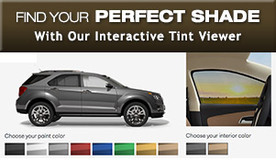 Although BHWT is well known for their vehicle tinting services, the company has a growing reputation as an impeccable commercial window tinting contractor. BHWT is currently on a long term project for Bank of America in Florida and Georgia. Other past projects included Fort Myers City Hall, Hodges University in Naples, Edison Community College, and Naples Community Hospital.